CarShop Swindon, part of the UK’s number one car supermarket, has raised £8,148 for the Salvation Army’s Booth House Lifehouse in Swindon, a centre which is dedicated to offering support to people experiencing homelessness to lead independent and fulfilling lives. 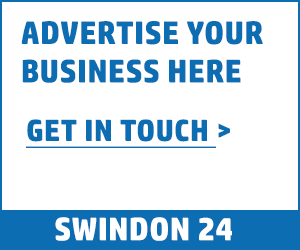 CarShop Swindon also encourages the local community in Swindon to get involved with its fundraising efforts through the Pink Coin Process. Through this scheme, CarShop donates £1 for every car sold to charity – customers can decide whether they want this to go to The Salvation Army’s Booth House Lifehouse in Swindon or CarShop’s national charity – Global’s Make Some Noise. CarShop Cares was launched in 2016 and is the official charity programme of CarShop. It aims to support both national and local charities that specifically provide support to children and young people in the UK. CarShop employees have taken on their own fundraising endeavors with CarShop’s support, as the company offer all it’s employees a paid day off on top on their annual leave to pursue charitable projects. This year CarShop employees have tackled, marathons, quiz nights, tough mudders, parties and many more sponsored events and achievements in the name of raising cash for Global’s Make Some Noise and their local charities which include, Swindon based STEP. Elizabeth Osborne, Service Manager at Booth House Lifehouse said: “I would like to thank CarShop Swindon and its customers for their continuing support and generous donations which are very much appreciated by the residents and staff here at Booth House Lifehouse.